On Earth Day, Yokohama Tire Corporation teamed up with KaBOOM!, a nonprofit committed to bringing active play into the daily lives of children, along with Habitat for Humanity of Orange County, NeighborWorks Orange County and 200 volunteers to build an eco-friendly playground in San Juan Capistrano, CA: Green Park. Alan Holtschneider, director of marketing for Yokohama said of the efforts put forth by local children, “The kids were the ‘playground design experts. Many of their ideas and equipment choices made it into the final design, including a tire swing, which was the overwhelming favorite item to have.” The playground boasts “Cradle to Cradle”-certified playground equipment from Playworld. More great news — the old playground equipment from Green Park is going to be refurbished by NeighborWorks and then sent to an orphanage in Baja, Mexico for children to enjoy. 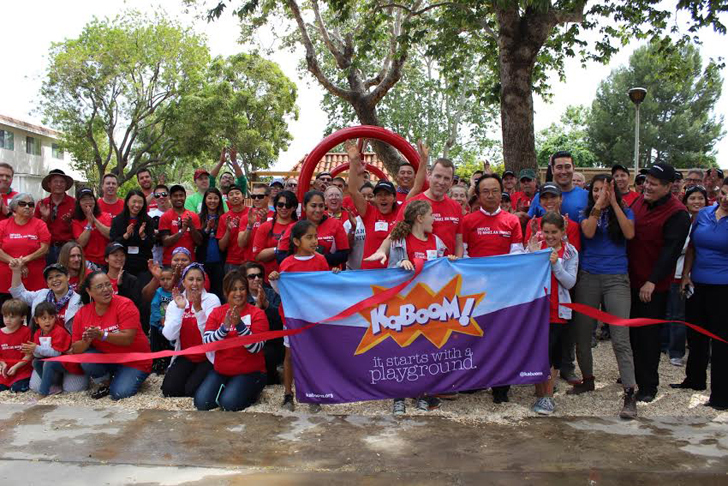 On Earth Day, Yokohama Tire Corporation teamed up with KaBOOM!, a nonprofit committed to bringing active play into the daily lives of children, along with Habitat for Humanity of Orange County, NeighborWorks Orange County and 200 volunteers to build an eco-friendly playground in San Juan Capistrano, CA: Green Park. Alan Holtschneider, director of marketing for Yokohama said of the efforts put forth by local children, �The kids were the �playground design experts. Many of their ideas and equipment choices made it into the final design, including a tire swing, which was the overwhelming favorite item to have.� The playground boasts �Cradle to Cradle�-certified playground equipment from Playworld. More great news -- the old playground equipment from Green Park is going to be refurbished by NeighborWorks and then sent to an orphanage in Baja, Mexico for children to enjoy.